Student Connie Brown recently visited Victoria’s on-campus gallery, Adam Art Gallery Te Pātaka Toi. 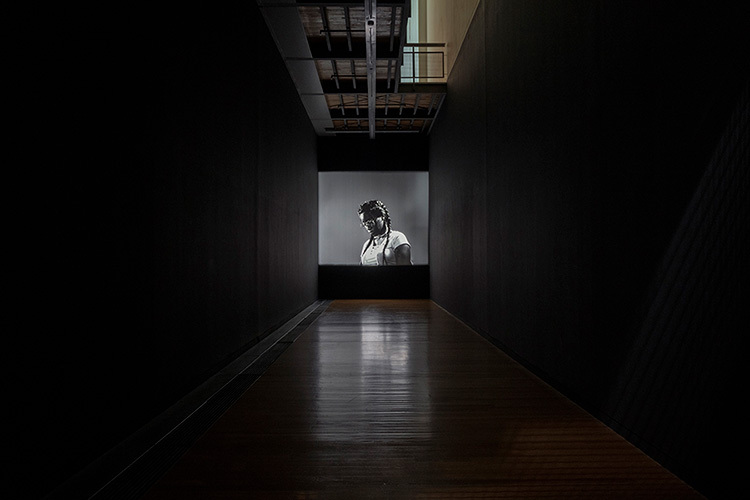 This was where she experienced the first large-scale solo exhibition in a New Zealand public gallery by Luke Willis Thompson—a London-based artist—who alongside his earlier work premiered his latest work, How Long?. At times, the thought of another two hours spent daydreaming in the Library between classes is unbearable. Likewise, the Hub—close as it is to Vic Books and Maki Mono—can be a dangerous territory when the mind is prone to wandering. Fortunately, the Adam Art Gallery on Kelburn campus is the perfect space for your mind to wander. The gallery’s highly-regarded programme includes work from local and international artists, with a particular focus on cross-disciplinary mediums and thinking. Such is the case with the gallery’s current exhibition by Luke Willis Thompson, an up-and-coming artist who works across a range of mediums, including performance, sculpture and film, all of which allow him to push the limitations of object and space. This unconventional approach has ensured an impressive record of shows, prizes and residencies with art institutes worldwide, including the New Museum in New York and the Institute of Modern Art in Brisbane. With the help of the Adam Art Gallery staff, Thompson has transformed the long corridors and towering ceilings of the gallery’s space into a lightless, almost airless vacuum. Partly necessitated by the artist’s cinematic medium, this blackness causes a sharp alteration of the senses. It makes us physically aware of invisibility and silence, which carry immense thematic weight in Thompson’s work. His exhibition is comprised of three silent and visually understated films. 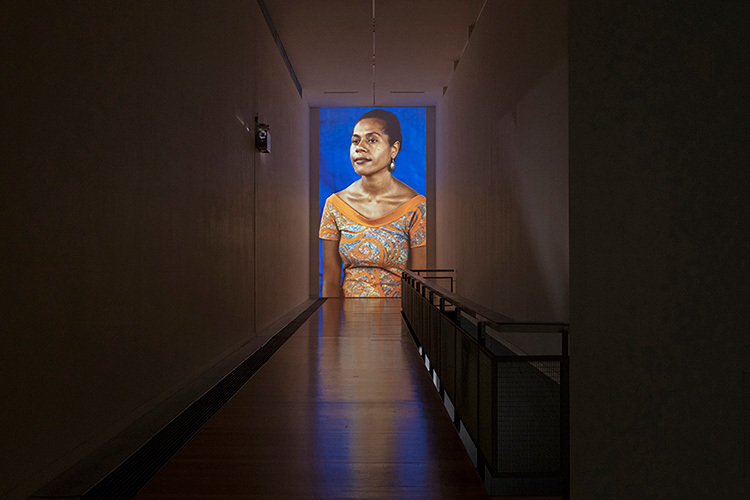 While the scenes are staged as photographic portraits, they are captured as moving images, a technique referred to by the exhibition’s curator, Stephen Cleland, as “durational” portraiture. The probing camera risks intrusion, yet manages intimacy. It is unwavering and foregrounds slight involuntary movements of habit and impulse; subtle flickers of restlessness, defiance, melancholy, suspicion, serenity, sobriety and self-awareness reveal a full spectrum of emotion in the subjects, despite the simple compositions. Mute, without context and leisurely in pace, the work invites contemplation from its audience. It is unexpected then, when reading the short descriptions provided by Thompson, to have the work’s subjects placed within the lineage and legacy of war and police brutality. Subjects Jone Lebanon, Rosi Lebanon, Rupeni Iraq and Inia Sinai of How Long? (2018), Brandon and Graeme of Cemetery of Uniforms and Liveries (2016) and Diamond Reynolds of Autoportrait (2017) are all in some way—whether directly witnessed or inherited— affected by violence. In this way, Thompson transforms the ways in which we might usually encounter violence and brutality in art and media. The usual carnage, chaos and symbolic blemishes of red are a distant notion, here supplanted by a haunting sense of lasting trauma that is material, personal, immediate and embodied. Luke Willis Thompson’s work is on display at the Adam Art Gallery until 15 April 2018. Connie Brown is a second year arts student studying Art History and Film.